I’ve read a few novels by Joseph Roth now and every time I’m surprised how different they are. Die Flucht ohne Ende – Flight Without End is no exception. This is a Roth I’ve not encountered so far, or only in snippets. Flight Without End clearly shows the mark of the journalist, but it’s also the book of someone who cannot take the society he lives in seriously. Rarely have I seen him this sarcastic, mocking individuals and groups of people. And rarely have I come across a Roth that was this funny. I had to laugh out loud more than once and truly wish the translator was able to capture this. Roth’s wit and humour is very subtle and although a translation could be literal, the humour might get lost in translation as it’s often tied to one word that changes the meaning. Mostly he uses it when describing someone. Here’s just a short example. Eine junge Schauspielerin, die zwar mit dem dicken Zweiten Bürgermeister geschlafen hatte, aber unbeschädigt aus seiner Umarmung wieder herausgekommen war und teilweise sogar erfrischt. A young actress, who indeed slept with the fat second mayor but came out of this embrace undamaged, partially even refreshed. I take just one element of the sentence to explain what I mean. It’s entirely possible to choose the word unharmed instead of undamaged but it would remove a lot of the fun. “Unbeschädigt” means both unharmed or undamaged, but normally you’d use it for an object, while unharmed would rather mean a person. Roth chose undamaged very consciously. 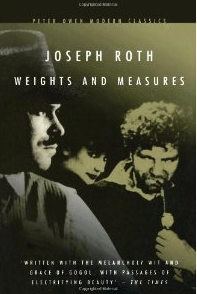 What struck me too in this book was how cosmopolitan Roth was. The book starts in the Russian steppe, moves to Baku, from there to Vienna, then to a unamed city on the Rhine, and ends in Paris. Each place is described masterfully, its essence captured, its character laid bare. The story is a bit more problematic. I’ve seen this book mentioned as one of Roth’s weakest works, which would have needed some editing. I agree to some extent. I didn’t mind the lack of plot. What we find here is basically the story of a quest. Franz Tunda, former officer, then captive of the Russian army, escapee, revolutionary, drifter and private tutor, lacks one thing – a home. What is home for a man like Tunda? If he can be of some use, he’s adopted everywhere, but never really welcome. He stays an outsider and this makes him a keen observer. He sees behind everyone’s masks, doesn’t buy any of the big theories on progress and wealth. He’s as wary of the communists as he is of the socialist’s and the bourgeoisie. They all have a hidden agenda. That’s why his flight is without end because, as vast as the world may be, society ultimately makes it very small and there’s no home for those who don’t play along. When I get so much insight and analysis of people and countries I don’t mind a lack of plot. My reservation has something to do with the structure of the book. It’s presented as if we were reading an account of someone who is Tunda’s friend. At the same time there are accounts that are directly made by Tunda and it switches occasionally from third to first person. I think this would have needed editing but it’s a minor flaw. One of the most poignant scenes is when Tunda visits the grave of the unknown soldier, under the Arc de Triomphe, in Paris. The blue flame burned not to honor the dead soldiers, but to reassure the survivors. Nothing was more cruel than the blissfully ignorant devotion of a surviving father at the grave of his son, whom he had sacrificed without knowing it. Tunda sometimes felt as if he himself lay there in the ground, as if we all lay there, all those of use who set out from home and were killed and buried, or who came back but never came home. For it doesn’t really matter whether we’re buried or alive and well. We’re strangers in this world, we come from the realm of shadows. 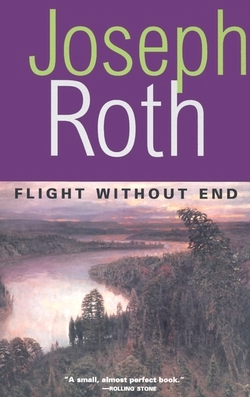 Flight Without End doesn’t show us a poetic or lyrical Roth. It’s not elegiac or nostalgic. It’s sarcastic and ironic. It’s the work of someone who saw the downside of globalisation long before anyone else and who was no fool when it came to human beings. There are a few good ones out there but they hardly ever occupy the big stages; they might be hidden somewhere in the Taiga, doing their thing quietly and unseen. I thoroughly enjoyed this book. It’s witty, irreverent, unflinching and astute. It may not be the best book for someone who hasn’t read Roth yet, but it’s a must-read for those who already like him. Flight Without End is the eleventh book in the Literature and War Readalong 2014. The next book is Letters from a Lost Generation by Vera Brittain and four of her friends. Discussion starts on Monday 29 December, 2014. Further information on the Literature and War Readalong 2014, including the book blurbs can be found here. How does an upright, steadfast man survive among corruption, hypocrisy, and crime? Roth’s answer to this question, which lies at the heart of Weights and Measures – Das falsche Gewicht, is pretty simple: he doesn’t. Either he is tainted or he will go down. Anselm Eibenschütz, a former officer, leaves his soldier’s life behind and becomes the inspector of weights and measures in Zlotogrod. He hasn’t changed profession by choice but because his wife urged him too. The change is hard on Eibenschütz. He’s not used to this region; it’s colder and rougher than where he used to live, and he isn’t cut out for the job. It’s not to his liking and since he is incorruptible and upright, he clashes with the merchants of the region. Hardly anyone conducts honest business. They all rely on extra-money, coming from the use of false weights and measures and smuggling. While the old inspector was open to bribes, Eibenschütz is not. He reports every single misconduct and sends even the poorest to prison. A kind man at heart, this is especially hard on him. He doesn’t want to punish those who have nothing, but can’t make exceptions because the richer would find out and he would be denounced. He finds ways to help the poor though. Either he doesn’t check on their shops or he warns them somehow. Eibenschütz blames his wife for his misfortunes. Why did she have to talk him into leaving his former life? He begins to hate and neglect her and when he finds out she’s cheating on him, it offers him an excuse to neglect her even more. In the province of Zlotogrod is a border tavern that is visited by smugglers. Jadlowker, the owner, is a profiteer and famous everywhere for his criminal activities. He lives with a beautiful gypsy woman, Euphemia. When poor Eibenschütz sees her for the first time he falls in love and becomes a regular customer. From that moment on it goes downhill for Eibenschütz. Even though he is able to arrest Jadlowker and is named supervisor of the tavern, he doesn’t find happiness, but turns into an alcoholic. Eibenschütz isn’t the only one who is tested. There’s an unseasonably warm winter towards the end of the book; a cholera epidemic breaks out and kills hundreds. Because people fear to touch the dead, prisoners are used as undertakers. Jadlowker grabs the opportunity and flees. The end of the book is foreseeable and tragic. 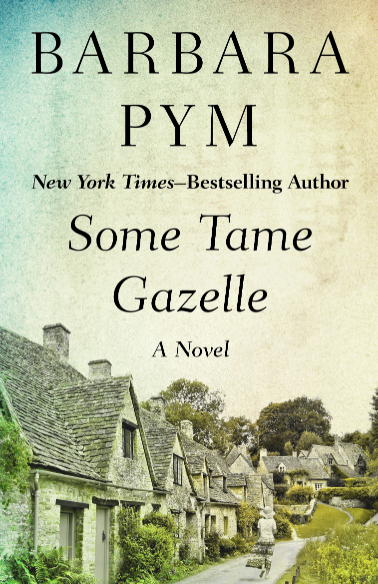 I thought this was an absolutely remarkable novel for many reasons. The main theme is the clash between an honest man and a corrupt system, but what is amazing is how the story unfolds in front of the background of the disintegrating Austro-Hungarian monarchy and serves as a mirror. The book really gives you a feel for how huge this monarchy was, how extended, and how many cultures were part of it. What I liked most is how Roth used the descriptions of the place and the weather to show Eibenschütz’s emotions and to underline the wild remoteness of this region. There were many beautiful small scenes and episodes. Eibenschütz is upright and stiff, but he’s also very emotional and feels deeply. His life as a soldier sheltered him emotionally; experiencing heartache and passion, unhinges him. When he falls in love he discovers nature. Before his “awakening” nature is just a phenomenon he sees but barely notices. The changing seasons bring rain or snow, breaking ice or sunshine, but that doesn’t affect him. Once he’s “awake” he feels the seasons, feels he’s part of it. Weights and Measures is a wonderful book. 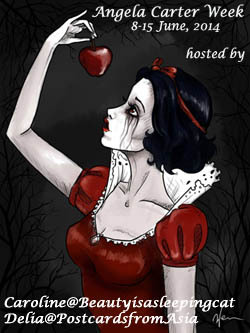 Short, complex, and filled with poetic descriptions. Knowing that Roth battled alcoholism all of his life, gives Eibenschütz’ descent into alcoholism an even deeper meaning. Here’s a wonderful review by Max (Pechorin’s Journal) which contains quotes.